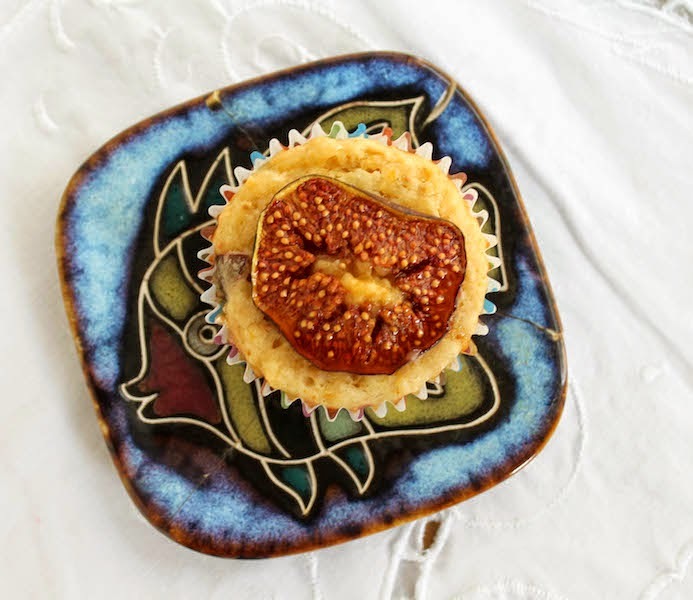 Fresh ripe figs make a lovely muffin, with no added sugar and only honey to add extra sweetness and a little lemon juice to bump up the batter flavor. Top with slices of fresh fig and a drizzle of honey before baking. Well, hallelujah! Let all God’s fig lovers give praise. I finally found some ripe figs I could afford in what had been an otherwise disappointingly practically figless summer! First I made preserves, which turned out more like jam as the large figs fell apart, but a few of the smaller ones were reserved for muffins. These muffins here. Oh, and I may well have eaten quite a few just as is. Aren’t ripe figs the best? I can close my eyes and I am 10 years old again, up high in the branches of my grandparents’ fig trees, enjoying the breeze and eating my fill. Sweet! Preheat your oven to 350°F or 180°C and prepare your 12-cup muffin pan by spraying it with non-stick spray or lining it with muffin papers. Slice the ends off of your figs and discard. Now slice 12 nice circles from the middle of the figs and set aside. Chop the rest of the figs up roughly. Combine your flour, baking powder, and salt in a large mixing bowl. Zest your lemon into the bowl and stir well. Juice the lemon and measure out 1/4 cup or 60ml. In another smaller bowl, whisk together your egg, honey, milk, lemon juice and oil. That's the last of my dark Ugandan honey. Time to go back! Fold the wet ingredients into the dry ones and stir until just mixed. There should be some flour showing. Fold in the chopped figs. Divide your batter between the 12 muffin cups. Top each with a fig slice and push it in slightly. Drizzle on a little extra honey, if desired. Have you found sweet figs at an affordable price this summer? Or perhaps you are blessed with a fig-bearing tree. I’m rather fond of dried figs as well. Here are a few more recipes that might interest you. 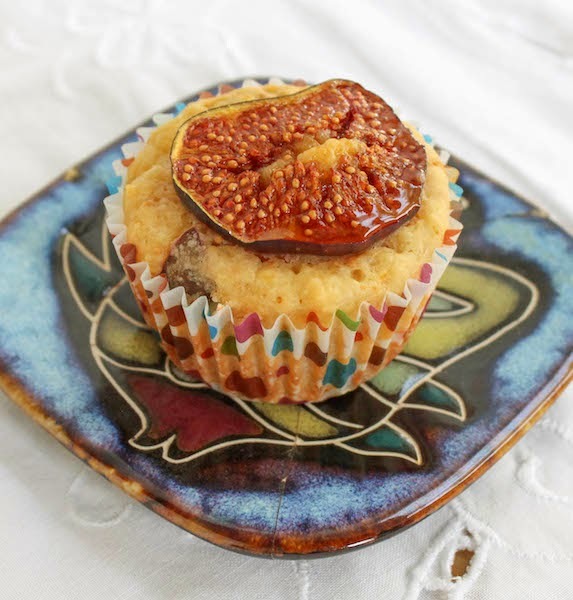 Figgy Jam Muffins – for when you can’t find fresh but really need to bake with figs - this was me earlier this summer!